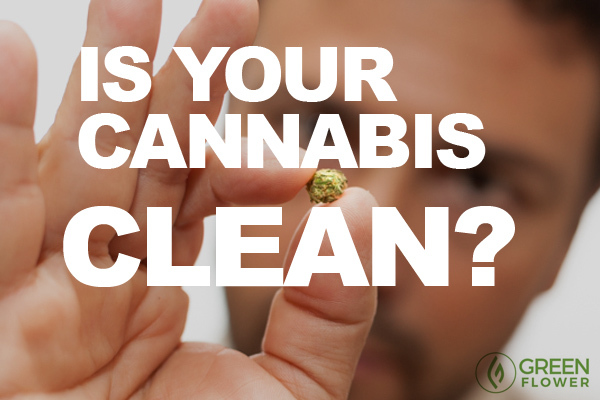 Cannabis is a powerful medicine -- unless it's contaminated! Did you know that inhaling or ingesting moldy cannabis can make you sick? The plant is famous for its healing properties, yet it also can be home to several different kinds of harmful molds, mildews, and bacteria. In February of 2017, researchers at the University of California at Davis tested 20 cannabis samples from California medical dispensaries. In those samples, they found evidence of potentially deadly fungi and bacteria. This includes the dreaded E. Coli and Klebsiella, which are bacteria commonly present in excrement. In a CBS news report, Donald Land, Ph.D. and chief scientific consultant for Steep Hill Lab, explained that 90 percent of the samples showed evidence of pathogenic fungi and bacteria. Normally, he said, about 20 to 30 percent of samples show up positive for mold and mildew. For those hoping to reduce risks and make cannabis as safe as possible, here’s the scoop on what kinds of molds can be found in cannabis, how to spot them, and ways to avoid getting sick. What kinds of mold are in cannabis? Many of the chemical compounds in cannabis are natural fungicides. However, the plant’s dense bud structure makes it prone to infection by certain kinds of pathogens. Cannabis afghanica (Kush) strains are thought to be particularly susceptible to molds and mildews, which means that many of today’s favorite hybrids are susceptible as well. Thus far, there are at least 88 different species of fungi that attack the cannabis plant. While the exact ways these organisms may affect humans is unknown, it’s safe to say you probably don’t want to inhale them into your lungs. Everybody deserves access to safe, clean cannabis -- free of contaminants (this particular specimen looks clean). Fungi are small but mighty warriors. While the human body is a natural home to many types of beneficial fungi and other microbes, there are many types out there that will harm your health. Unfortunately, mold spores are incredibly resilient. They can withstand the heat of a flame and tolerate the oven in a vaporizer. When you inhale moldy cannabis, these spores can be deposited directly into the lungs. People with a healthy immune system may be able to fend off an infection, yet moldy cannabis can have serious repercussions in the ill and the elderly. Not only can molds cause infection, but some molds release powerful chemicals known as mycotoxins. Mycotoxins are released by mold spores as they break down. While there are many different types of mycotoxins out there, some of the most studied varieties are known to promote the growth of tumors as well as cause kidney and liver damage. With a severe infection, some patients have even experienced mycotoxin-induced pulmonary edema, coma, and death. For this reason, paying attention to molds and mildews is especially important for medical cannabis consumers who have compromised immune systems. Quality & assurance: the cannabis industry is working to catch up here. Mold spores and early fungal infections on cannabis plants may not be visible to the naked eye. Taking a microscope to every cannabis flower is certainly not very practical, but there are a few ways to get a sense about whether or not your selection is a little moldy. Most people have seen white or green molds start to form on the heels of bread or vegetables left in the fridge a little too long. Cannabis flowers can develop similar kinds of molds. While trichomes can often give cannabis plants a dusty appearance, taking a close look under a bright light can help you spot the beginnings of unwanted powder or hair-like fuzz. This fuzz can be white, gray, black, green, or brown. Some cannabis strains might present a musky aroma, but they should not smell like a damp basement. A musky aroma often comes from the presence of a terpene molecule called myrcene, which is also present in mangoes and hops. 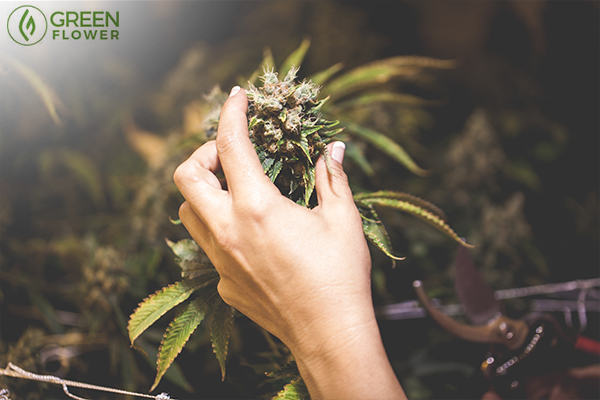 An overly sweet, musty, damp smell is a sign that your flower may have been exposed to excess moisture and is now growing mold. Most cannabis cures at a healthy 65 percent humidity. When you are working with dried flower, they should feel sticky yet crisp and easy to break apart. If the flower feels too difficult to break apart, moist, or fresh to the touch than it might not have been dried or cured properly. This means a greater likelihood of molds. If you inhale a little bit of cannabis and it causes a harsh irritation, chest pain, allergic reaction, or asthma attack, there is a possibility that some fungus may have hitched a ride on your flower. If this is the case, it’s best to stop consuming that particular sample, or possibly the whole batch. Many states and regions now have quality testing requirements for cannabis products. However, testing practices are not uniform across the board. One of the easiest ways to avoid molds and mildews is to opt for products from brands and access points that choose to quality test their products for the presence of molds and pathogens. 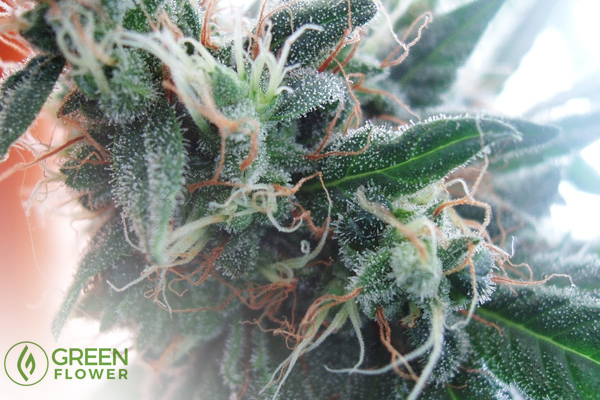 Learn more about lab testing in Green Flower's video with Dr. Donald Land. Without federal, uniform testing standards, cannabis products in some states and regions may be more likely to be mold-contaminated than others. If your region does not have rigorous quality standards, you may have to hunt around for local brands or cultivators that prioritize testing and safe, clean growing practices. Properly storing cannabis flower can protect it from contamination once it reaches home. Store dried flower in a size appropriate and air-tight glass container. For best results, placing a 65 percent humidity pack in the jar can keep flower hydrated without excess moisture. When not being used, dried flower should be kept in a cool, dark, and dry place. It is not advisable to keep or consume damp cannabis. If growing at home, keeping a close eye on the weather is imperative. Cannabis buds should not be exposed to the rain or excess humidity, otherwise, they are breeding grounds for fungus and bacteria. Popping up a hoop house, moving potted plants into a greenhouse, or providing temporary shelter from a summer rainstorm will keep cannabis flowers useable. If covered, running a dehumidifier might be necessary to keep moisture from building up inside the area. Homegrown cannabis plants need to be kept in a clean area away from pets and other possible contaminants. When plants are in an enclosed space, there may be a risk of condensation buildup or excess humidity in the room. In general, most flowering grow rooms are kept at 40 to 50 percent humidity. A dehumidifier is one of the most common ways to keep humidity levels low. However, if using a dehumidifier, it needs to be cleaned regularly or else fungus may grow in the reservoir. Have you ever come across a moldy cannabis product?